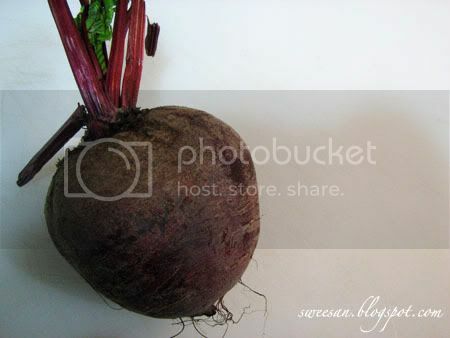 I like beetroot. I love them in soup. I adore them in salads. I like them in fruit juices and I love the colour! 1.Beet juice can help lower blood pressure. Research published in the American Heart Association journal Hypertension showed drinking 500ml of beetroot juice led to a reduction in blood pressure within one hour. The reduction was more pronounced after three to four hours, and was measurable up to 24 hours after drinking the juice. 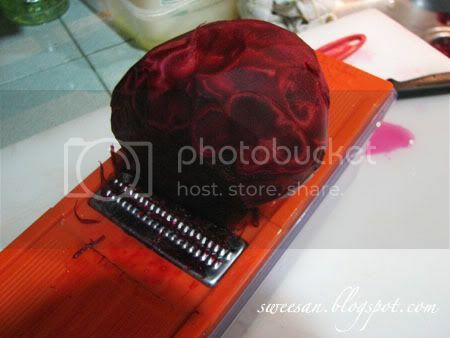 2.Beetroot can also be used to make wine. The consumption of beets is known to cause pink urine, but is very healthy for the immune system. The marble effects are so cool!! 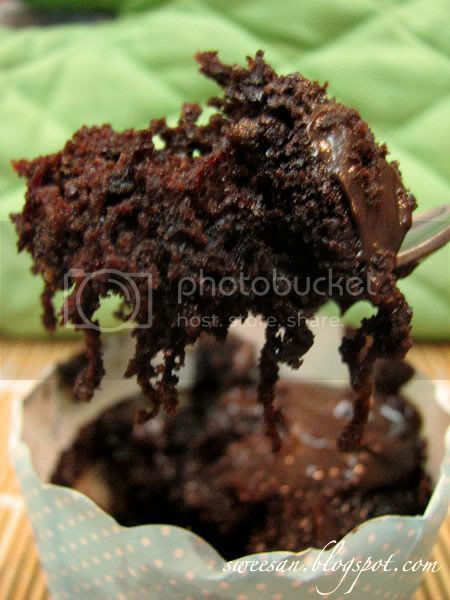 Anyway, here’s a recipe for chocolate beetroot cupcakes. 2. Wash beetroot, peel off skin and finely grate them. Set aside. 3. Measure all dry ingredients, sift. 4. Beat sugar and eggs till light and creamy for about 3 minutes. 5. Add in oil, milk, beetroot and melted chocolate and cream till all ingredients are well mixed. 6. Fold in the remaining dry ingredients and fill into cups. Bake at 170 C for 35 minutes. 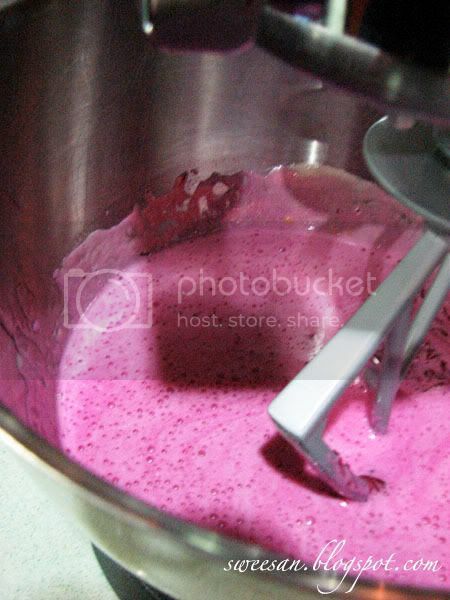 This is how the batter looks like once the beetroot are added. Pinkish – purplish.. Really cool!! 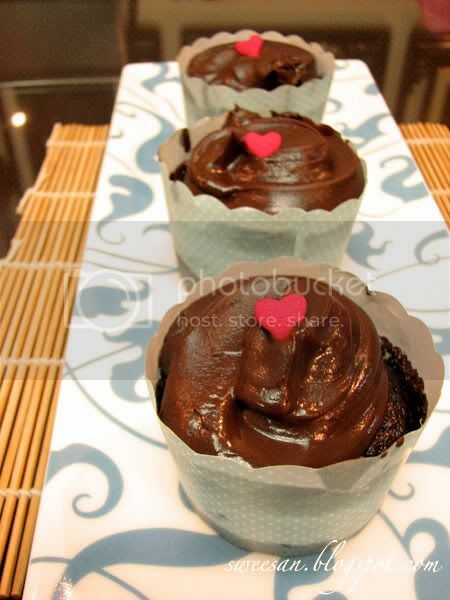 Once baked, I topped them with some leftover ganache so to give in a more chocolatey kick. can’t really taste the beetroot once its baked, and the amount of chocolate covered it.. But the colour of the cake is of dark burgundy-ish instead of chocolatey brown. Next post, weekend in Singapore! Good lookin cupcakes and Congrats on the foodie blogroll!